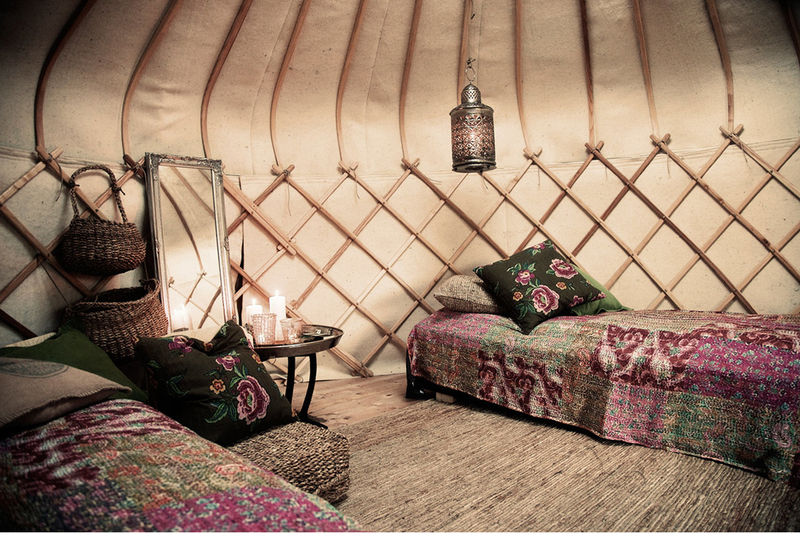 In the heart of the Devon Countryside, our talented team craft stunning Yurts made from locally sourced hardwood ash. 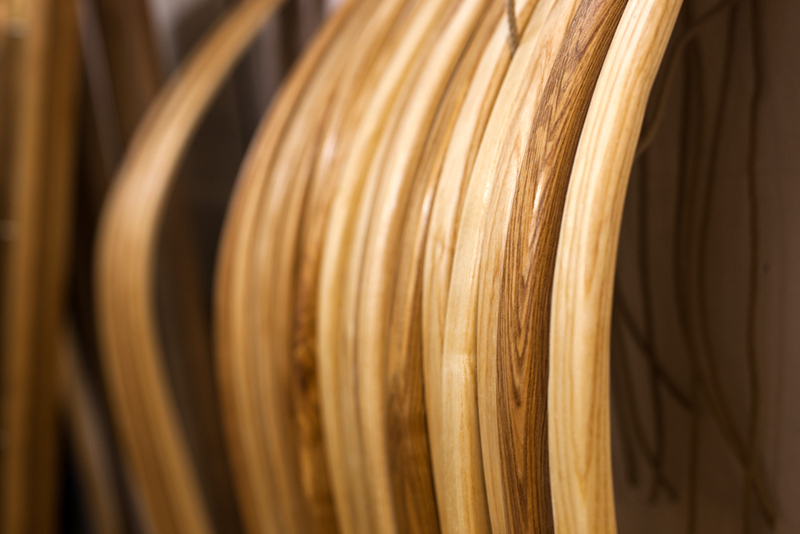 Our craftsmanship is second to none. 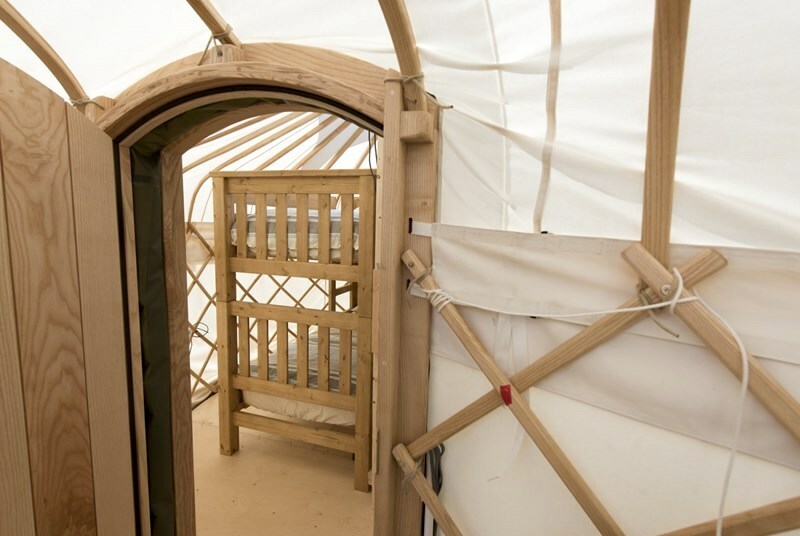 With the clean finish of our signature curved-top ash doors and steam bent frames, the use of high-grade canvas combined with high-end craftsmanship techniques, your Yurt will last for years. 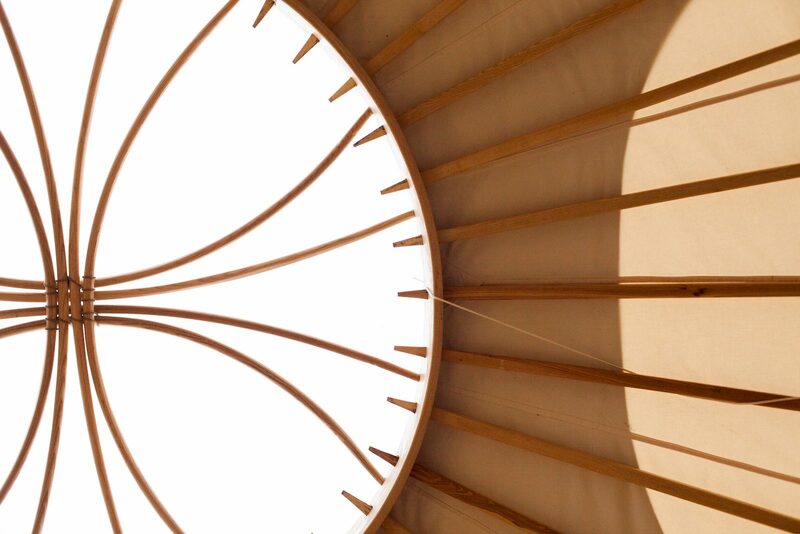 If you want a structure that truly soars, our Yurts show how straight lines and soft curves can exist in perfect harmony. 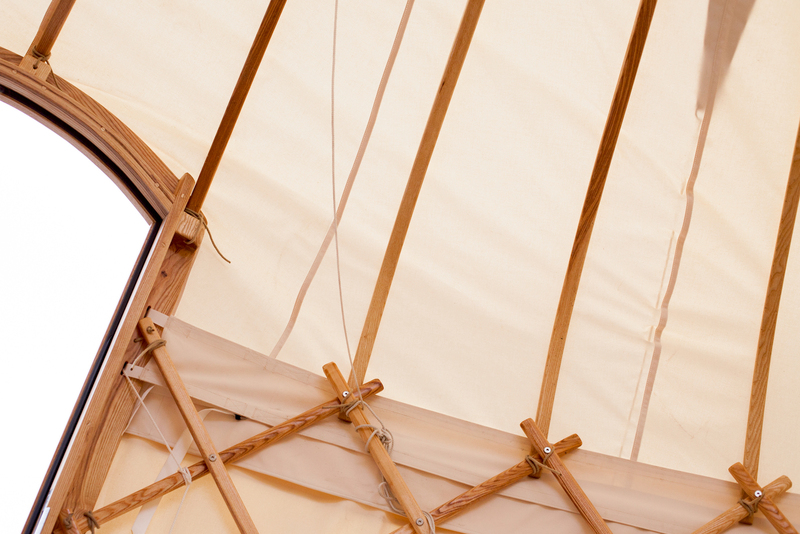 We have a range of Luxury Yurts that can be used for an ever-widening scope of applications. 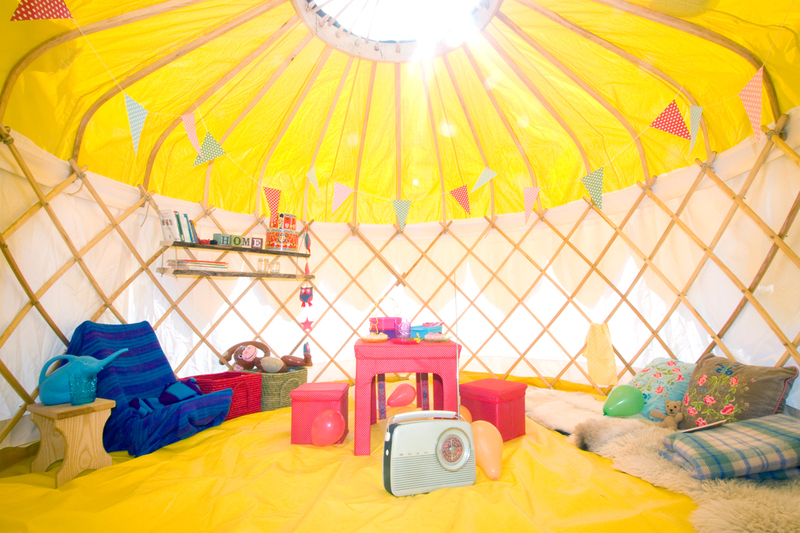 All of our yurts can be tailored to suit your individual needs. Sleeps four very comfortably, making it the perfect choice for a family or a romantic getaway for two. 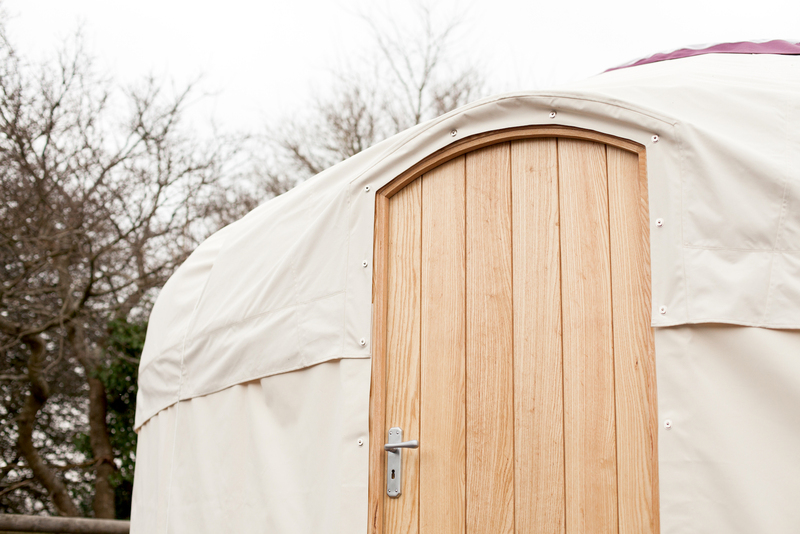 A great addition to any Glampsite or B&B, and our best selling Yurt. 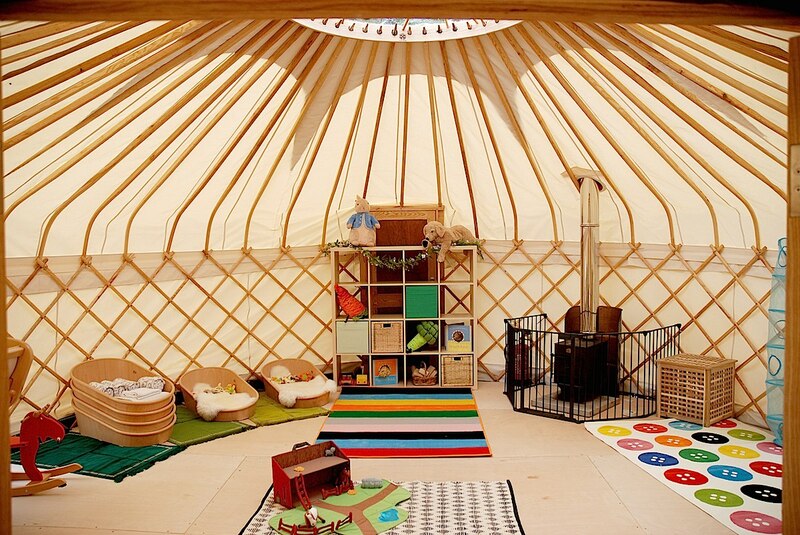 We’ve supplied a number of 20ft Yurts to nurseries and pre-schools, as this is a really good size used as an extra outdoor classroom for children. 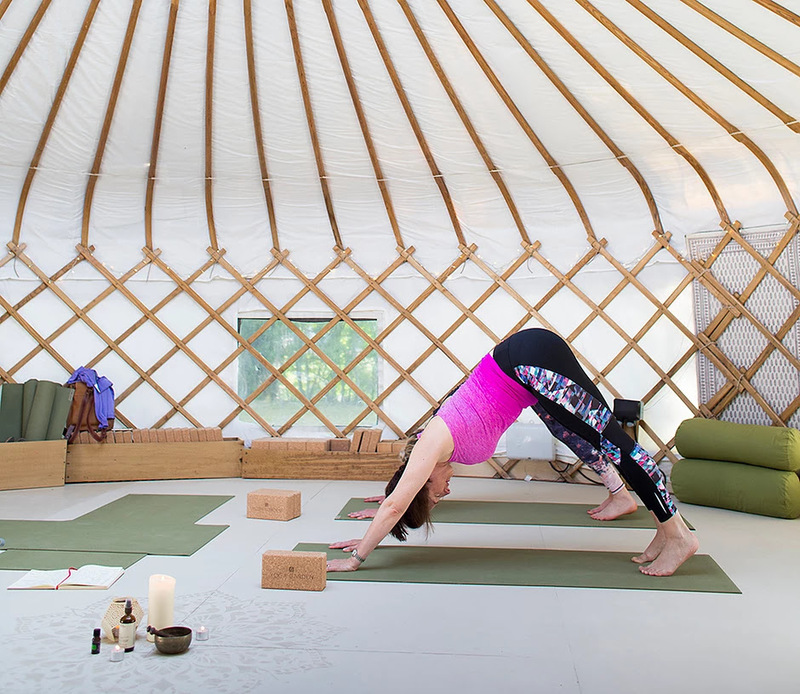 An ideal space for outdoor activities such as art classes, cookery courses and yoga retreats. It’s a great option for forest schools. 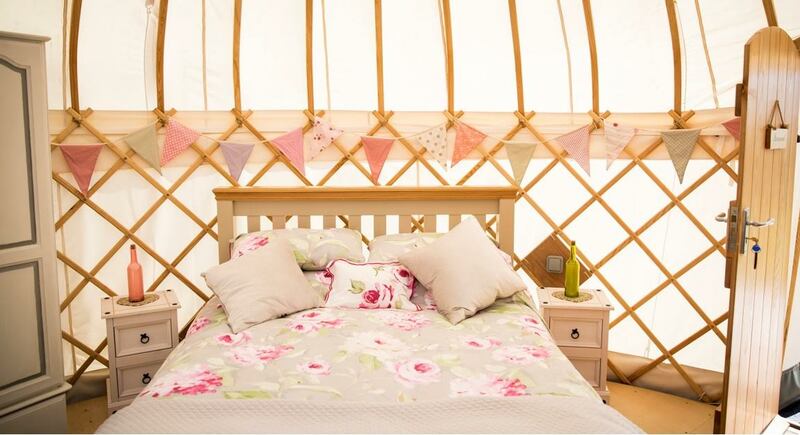 The perfect size to provide luxury glamping for two. With a big double bed there’s still plenty of space to move around inside. Ideal for a chill out room for the kids to hang out in, or podded to our 18ft or 24ft as a separate bedroom or en-suite. Best suited for wedding receptions and parties, or a calming Yoga Shala for large classes, accommodating at least 20 yoga students. 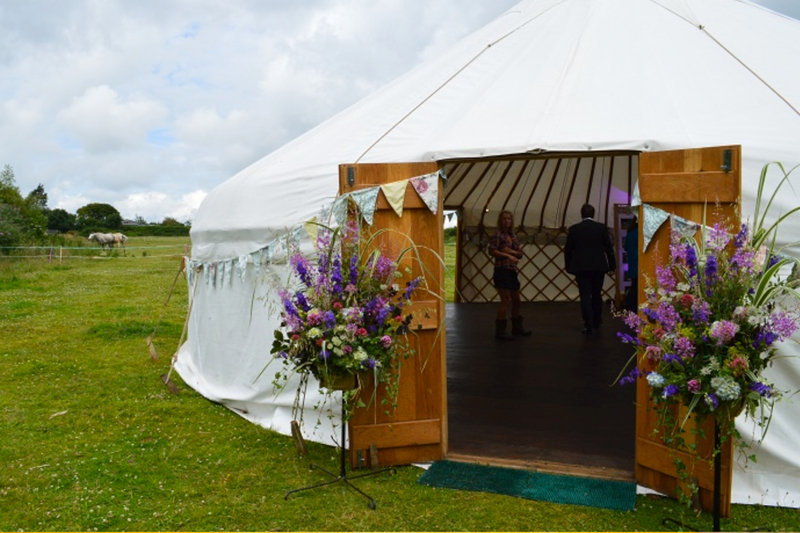 Our 10m Yurt is well equipped for large wedding receptions and parties, a calming Yoga Shala for large classes or outdoor exhibitions. Enter the Giant! 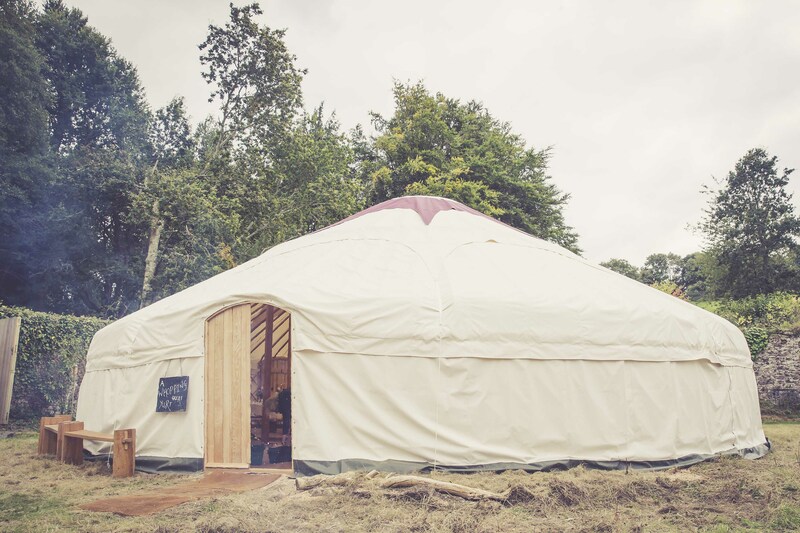 Our biggest yurt yet, and the one with the WOW factor! 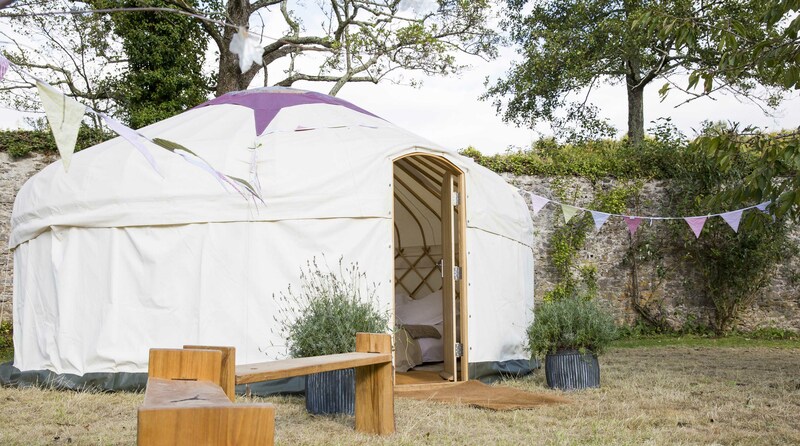 Our Yurts are fast becoming the preferred choice for business owners who pride themselves on providing a luxury outdoor experience for their guests. 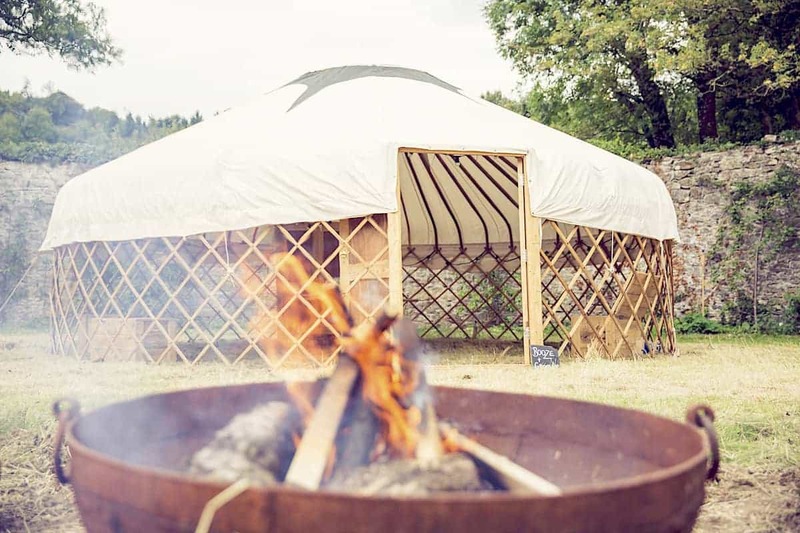 With an ever-growing network, our luxurious Yurts can be found in many locations across the UK & Europe, all the way to the wilds of Norway, giving you plenty of places to explore, to get away from it all, to surround yourself with nature, peace, quiet and complete solitude.